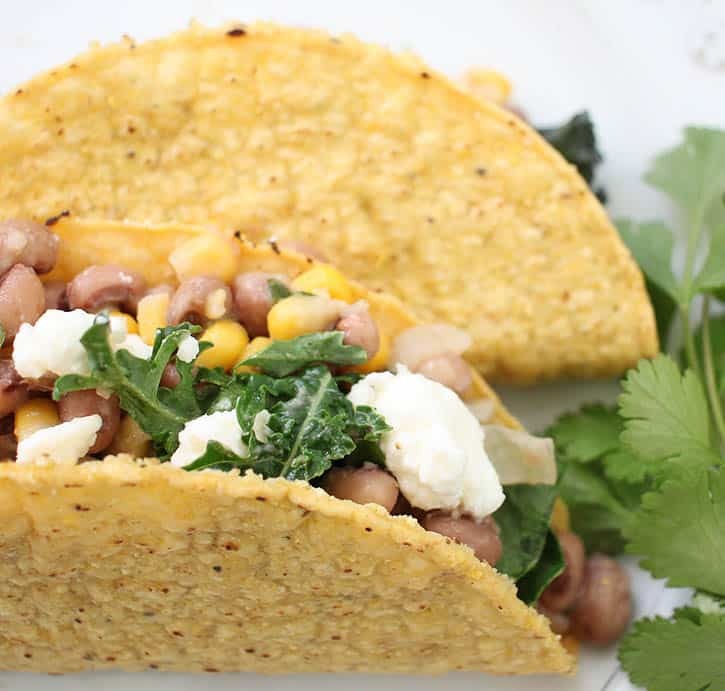 Today I want to share my favorite go-to vegetarian lunch. 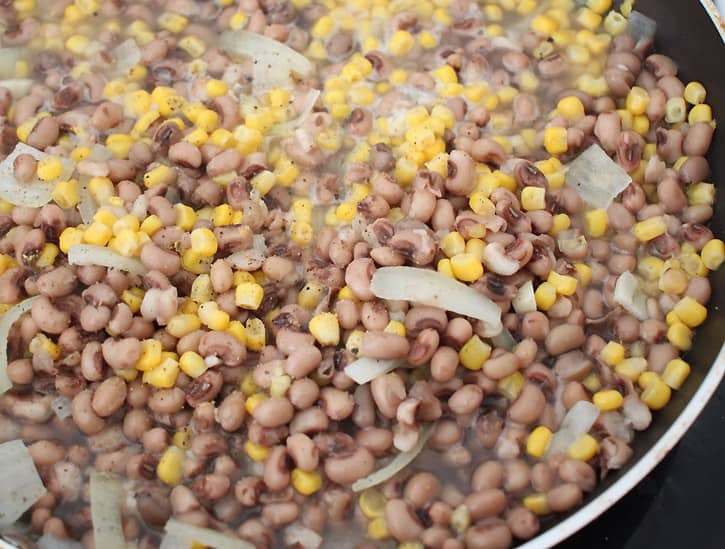 Back Eyed Peas have a great, light texture and flavor. They also cook faster than most other beans which is perfect when you’re in a hurry to eat! 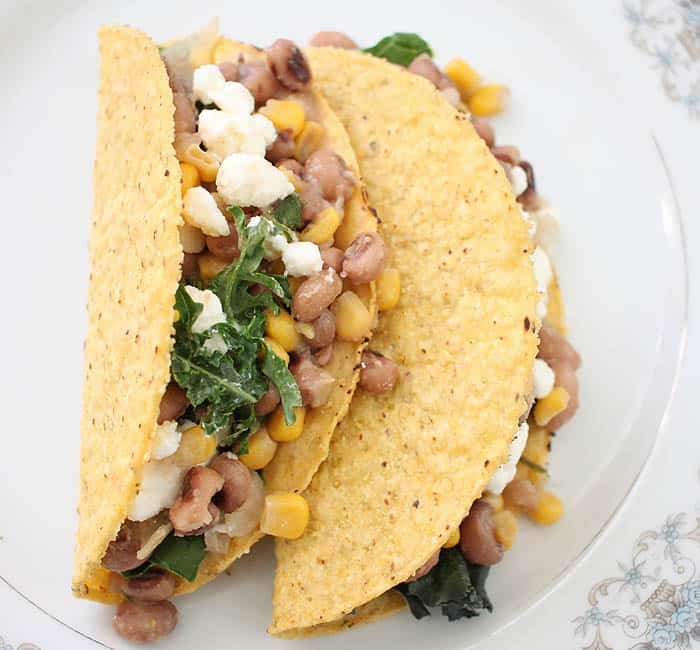 These Black Eyed Pea tacos are fast and easy to make and best of all they’re filling. This recipe makes a large quantity so there’s plenty for leftovers. Enjoy! 1. Heat oil in a large skillet over medium heat. Add onion, garlic, salt and pepper. 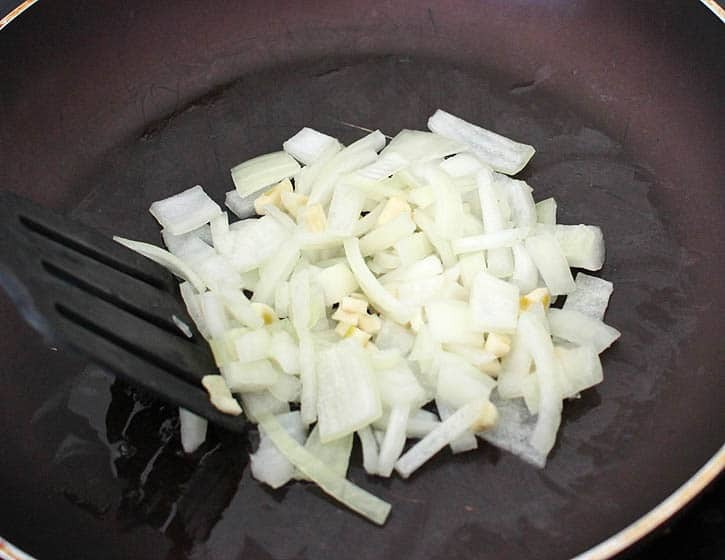 Cook until softened, stirring often for 5 minutes. 2. 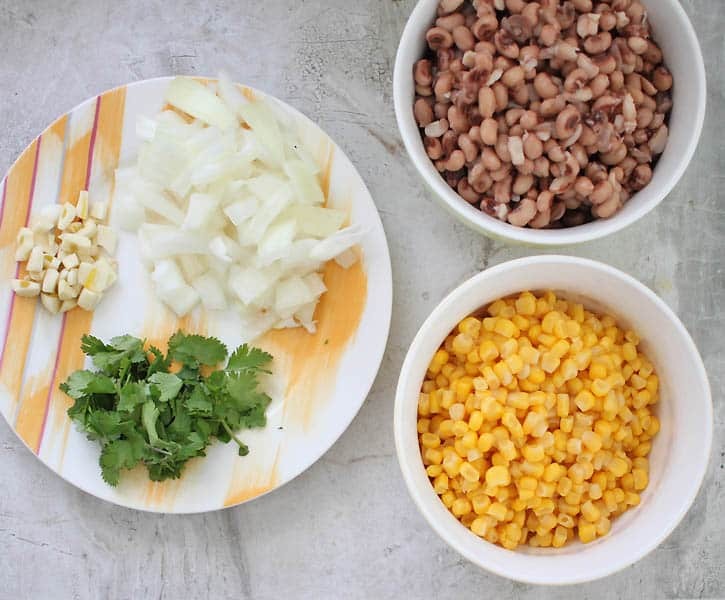 Add black eyed peas, corn and 1 1/2 cups water. Simmer over medium/high heat, stirring occasionally, until most of the liquid has evaporated (10-12 minutes) Stir in cilantro and remove from heat. Let cool for 5-10 minutes. 3. 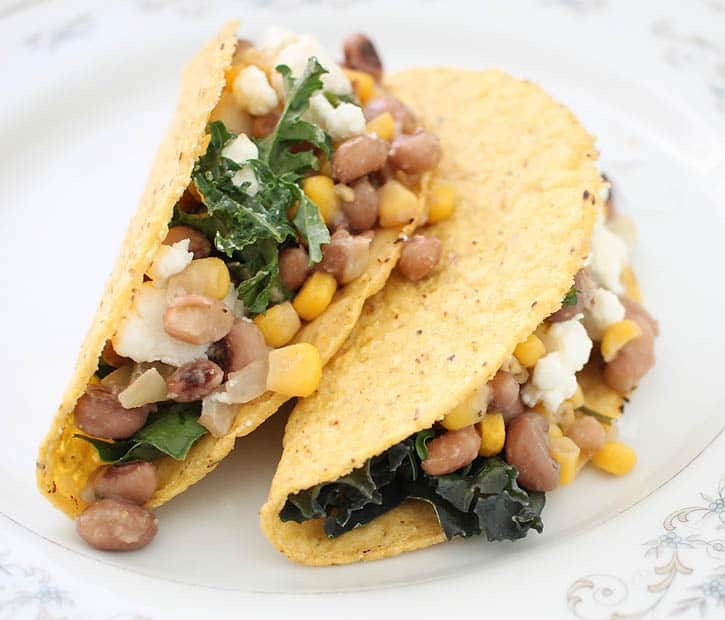 Place a layer of kale on the bottom of the tortilla. Add the filling and top with the goat cheese.